Learning to crochet, time to start again! 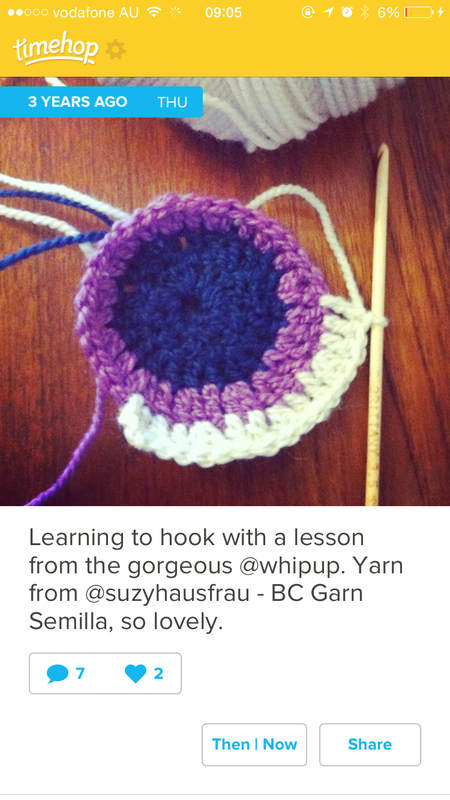 Today Timehop reminded me of a delightful morning spent learning to crochet with a kind and beautiful friend. 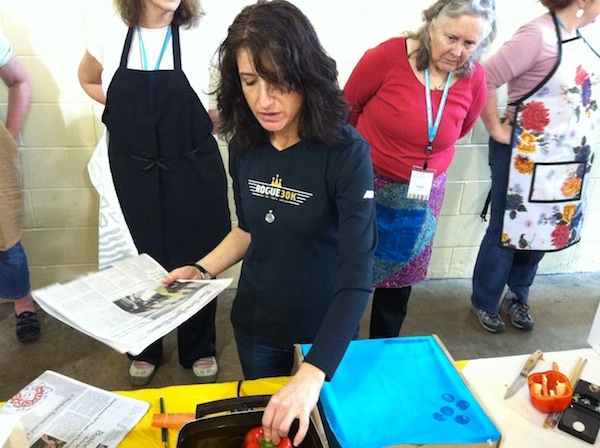 She had the ability to teach in a way that never felt like you were working hard to learn something but more that you were just having a chat and all of a sudden, tah dah! In our usual way, we had pots of tea and a pear/raspberry/coconut loaf I used to make for her as it was her favourite. She’s been gone than two years and I still miss her every single day. I haven’t picked up this project since she died or made that loaf cake, today feels like a good day to bake and hook. I’ll have to find some tutorials to remember how… Somehow these circles need to become squares for joining… Any recommendations for a good online crochet tute? This entry was posted in Crochet, Friends, this week I am, whipup and tagged baking, crochet, friends, hook, learning, semilla, wool, yarnhaus on August 23, 2015 by procrasticraft. So QuiltCon! I’m on my way, are you? Because booking flights and accommodation wasn’t enough to convince me I was going, I need to pop a little button in this space to make it for reals! And because registration is JUST TWO DAYS AWAY!!! I thought it was as good a time as any to remind myself of why it is I want to go again. The people I met :: It’s the number one reason I’ll do this trip, meeting these incredible people who share this crazy quilty passion is worth every cent of the airfare. 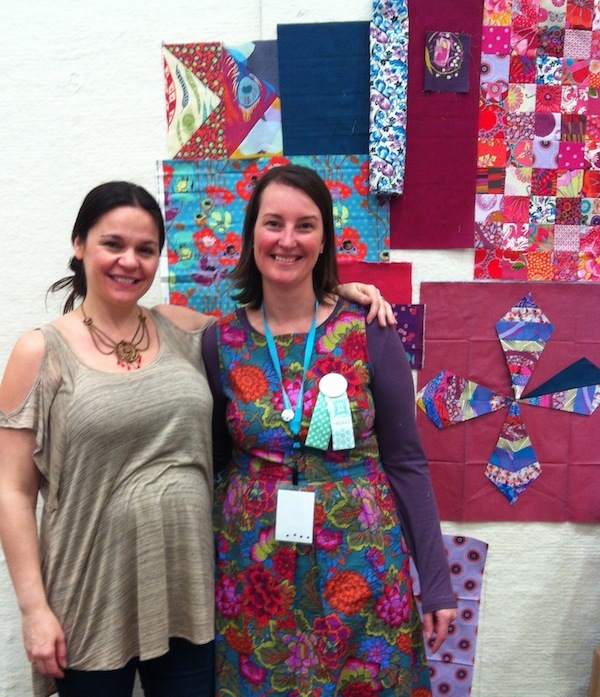 Anna Maria Horner and me in her “Composing a Quilt” class – total girl crush moment! Classes with AWESOME tutors :: Even with the anticipated frenzy and the possibility of missing out on classes, I would go again (and again, and again). The classes I took were super fun and the lectures are inspiring, stimulating and thought provoking. More people :: Class mates Lisa, Amanda, Charlotte, Marianne, Ellen and all the others who contributed thoughts, ideas and fun to the time we spent learning from tutors who shared their knowledge. Food (with people) :: Beer and Barbecue with Carolyn, Cheryl and her champion of a husband, he was such a trooper all weekend! 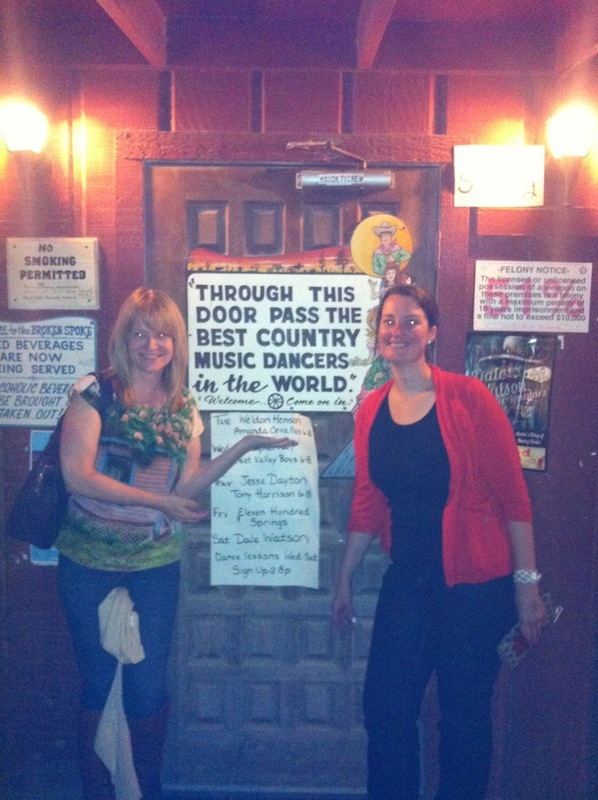 For the life of me I can’t remember the name of this place – all I know is it was THE BEST BARBECUE!!! Volunteering :: This was by far the most rewarding aspect. I had the opportunity to assist in the hanging of the quilt show, work the MQG information stand in the show, assist on the registration desk and be a workshop assistant. So many good things came from volunteering, I would highly recommend it to anyone! 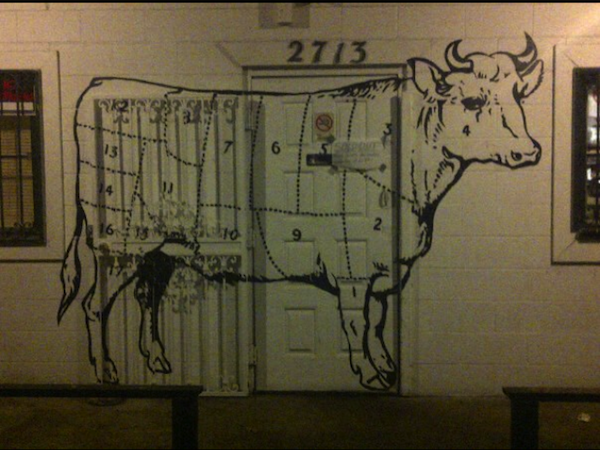 Food (without people) :: eating in a new country, city, suburb is my favourite way to discover a a place. I ate my breakfasts on my own in a different joint each day as a calm way of starting the day. Breakfast tacos in Austin? To. Die. For. 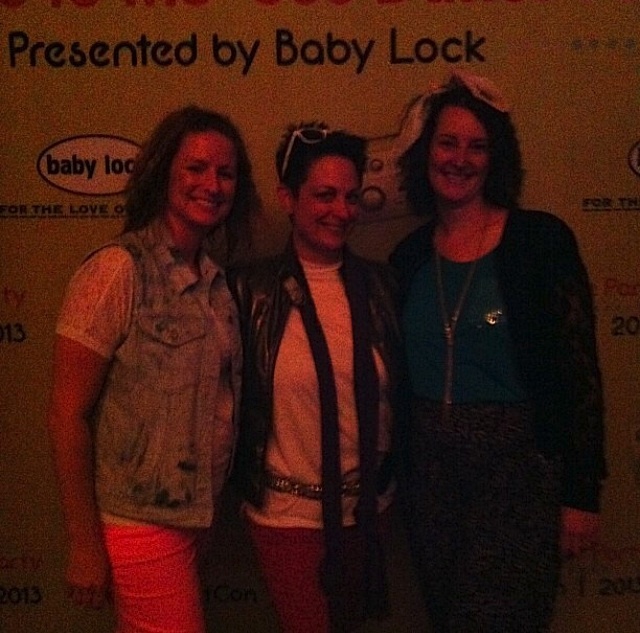 And have I mentioned people :: I can’t forget 80’s night dress up queens Felicity and Jaclyn. And bloggy and twitter and instagram mates who were just so lovely in person: Em, Holly, Kim, Jen, Marci, Heather, Gina, Heather, Jacquie, Colleen, Amy, Catherine, Latifah, Susanne, Erin, Rossie and so, so many more. So, back to the question that started this post. I’m going. Are you? 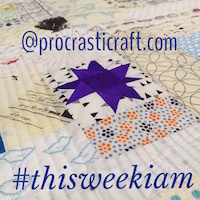 This entry was posted in quiltcon and tagged #quiltconplanning, barbecue, beer, friends, fun, quilt, quiltcon, Quilting, quilting peeps, texas on June 22, 2014 by procrasticraft.